Owned by the Newcombe’s of Bristol, RI. Original owner was Edsel B. Ford, who sailed it in Maine. It has plywood fore and aft decks that are canvas covered. This boat was completely restored by George W. Zachorne, Jr. in the winter of 1990-91. 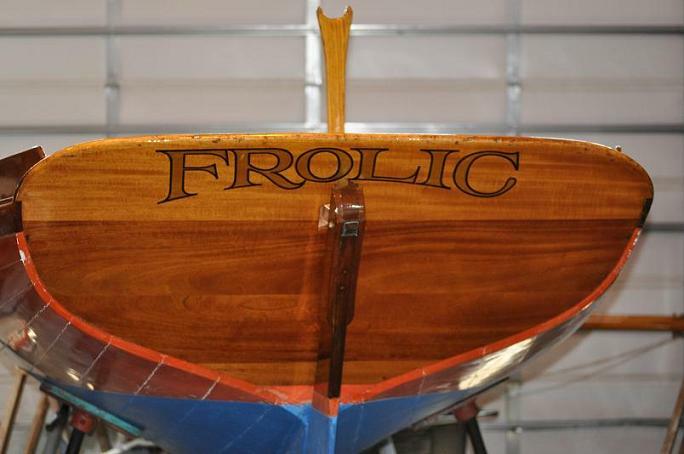 According to Ms. Newcomb, this boat replaced the original Frolic (Hull #1475) which was lost in the 1950's. The boat is used in the Herreshoff Museum sailing program.